Programming track - What's the point?! I don't get the programming track. I've got the Marklin Digital Running CS3 book, but apart from how to connect it, there is nothing that vague references to the programming track throughout the whole book. I tried putting a DCC loco on the track, but the CS3 has no search function or anything to help you. I have to strat putting in random addresses, but that just made trains out on the layout repond. I really don't get the point of the prgramming track. I think I'll just ignore it and havea main switch on the layout to cut power to it, apart from a siding I can then use for programming. Weird. On top, as per my previous post in here where people said you can drive on to the programming track, you can't! As soon as a train hits the join, it just starts flickering and stops. There's no "Programming mode switch" for the programming track either, as suggested previously. I have to start putting in random addresses, but that just made trains out on the layout repond. I really don't get the point of the programming track. This problem that you point out is one of the main reasons for a programming track, which is to provide an isolated circuit with only the targeted digital device present on it. That way you don't get unintended responses from the decoders that you are not trying to access. At least with my CS2 I can drive trains on my programming track, just with less available power, and I assume that is the same case when using a CS3. The fact that your trains don't run on your programming track indicates that there is something wrong with how your layout is set up. I suggest that you sort that out and then use the programming track when you want to alter CVs in decoders, and particularly when first registering an mfx device. They do run *on* the track, just not *on to* it. Where is the button/switch on the CS3 to tell it I want to porgramme something on the programming track so that it doesn't send it to the main layout? If it sends the same signals onto both, there really is no point having a programming track. I would be much better off having a manual switch to kill power to the main layout when I want to programme things. If you have a train, that already gas an address given by you, you can put it on the programming track and read it out. As long as you dont use the pom(program on main), it will only use the programming track ( therefore yoiu have to attach a seperate power, red/brown, to a piece off track, that is not connected to your main track. Where is the button/switch on the CS3 to tell it I want to porgramme something on the programming track so that it doesn't send it to the main layout? I admit that Märklin is far from clear on how all of this works, but here is what I do. My programming track is sometimes just a few sections of track but right now I have a rather large mainline set up as one. It is isolated from the rest of the layout with center rail (puko) isolators and I connect the programming outlet on the CS2 to it. Just to make sure that things are clean I disconnect the standard power plugs to the rest of the layout, although I don't know that this is necessary. With this arrangement I frequently run things from the rest of my layout onto the programming section without any problems. That is why I wondered about how your layout and programming track are connected. So there is no switch or button to activate but if your programming track is connected only to the programming outlet on the CS then you are in programming mode. That is why there are two separate booster outputs on a CS one to power the layout and one for the programming track. POM does work for most changes to decoders, although I never register an mfx loco that way, because I have found that more likely to lead to problems. I also use my programming track within my layout. I have it totally isolated physically by using the standard Marklin centre rail isolators and the Peco isolated rail joiners. I run the 2 Marklin power feeds from the CS2 for the track and the programming track to a 3 way toggle switch with the normal position being down to feed track power to the isolated track section and up to feed the programming track power to the isolated section. That way if I inadvertently ever hit the up position with an elbow it switches the toggle to the power off centre position or to the down track power position. I have never had an issue with this setup and the programming track works just fine when I select that mode with the toggle switch. ...I tried putting a DCC loco on the track, but the CS3 has no search function or anything to help you. ..... I really don't get the point of the prgramming track. Even (non mfx/RailComm) PoM decoders cannot be read "On the Main"
Here too, the limited static from other locos/layout track is desirable as the decoder does not have as much power as a controller to send the information. - When testing a newly installed decoder, the current detection is meant to cut out far sooner for a short situation (due to a wiring error) rather than pumping 5 amps into a piece of silicon and making it bubble. How? This is not mention in the entire Marklin CS3 book. Doesn't seem to work on mine. Doesn't that just read the data from the address given anyway? Not on my CS3 - it quite clearly just blasts it all over the main layout as well. If your programming track is wired to the CS3 programming track connection and you temporarily unplug the wires plugged into the CS3 main track connection, then it can't blast anything out to the main layout. When you want to control your layout again you just reinsert the plug to the main track connection or make it easy with a switch like Peter suggests. None of this is magic but it is not well explained in the docs, so I can understand why it is not clear at first. Ok, but I could do that with a simple switch and no specific programming track connection. So still don't see the point. Be aware that if you are using boosters just unplugging the main track connection won't isolate the areas powered by the boosters. Well, you can do it by a simple switch, but it is not recommended. Because you always have to be aware that there never will be any current connection between the programming track and your regular layout. E.g. it is dangerous by getting a train with 2 sliders on it. It is recommended to use this programming current connection for a dynamometer, etc. The programming connection brings only 1,9 A power. The regular connection of a CS 3 has a minimum of 3 A power to your layout. Märklin even recommends special seperation compensators between programming track and regular layout as they are used to seperate digital from analogue current layouts. These track seesaws shall absolutly asure that a slider never gets in touch with 2 different current circuits. Does Märklin even still make/sell those pivot seesaws? In the images I've seen of the parts from Märklin they all appear targeted at M and K track - I've not seen a C Track specific one. Why do you ask for a C-track specific one? The purpose is to prevent a connection of a slider with two current circuit at the same time. Is this relevant for the type of track? As you see at my links these seesaws are offered for C-, K-, M-track. As a spare part with article #385550 Märklin offers them in its shop for 5 €. In the various images I'd seen the M and K track applicability was visible on the product packaging but not the c-track applicability. Could be due to that being covered by the product being positioned on top of the bag in the photos. The 204595 part (from the ebay link) didnt' appear to be available anymore. Looking at the Märklin spare part lookup for it, they describe it as "TRENNST.-WIPPE M " which suggests its an M track targeted product. I asked about C track specifically as that is the track I'd be using and the physical geometry of the part would quite possibly be different on a C track vs a K track or M track use. Aside from that, in reviewing some threads on the transition to/from programming track to main the problem would only arise (given what was said) if one has the slider bridging the two power zones (main and programing) at the time the Central Station is put into "programming mode". So so long as one has a programming segment that is long enough that one drives the loco completely past the transition point, there isn't a risk. There is no need to use them with digital, they are strictly an analog thing from my far distant past. They do work with digital and sometimes they are needed. The centre-rail rockers for C track are rather soft and locos need speed to pass over them. Many locos will stop when attempting to pass them at slow speed. Typically they are not needed in a homogeneous digital layout (e.g. CS3 alone or with boosters 60175). Well, you can do it by a simple switch, but it is not recommended. Because you always have to be aware that there never will be any current connection between the programming track and your regular layout. While I have done a lot of "programming on the main" at our 2 rail Club system, my home layout has a programming track. ""The Central Station has a second set of connections with a smaller power out-put (max. current 1 amp), which is used for a pro-gramming track. –	Set up the programming track as a separate track.!!!!! –	Only 1 locomotive or powered unit may be on the programming track at a time.!!!! –	After you have ﬁnished programming a locomotive or powered unit, remove it immediately from the programming track. The Central Station sends data in many operating states to the programming track during normal operation (example: when a new locomotive is being set up in the locomotive list). 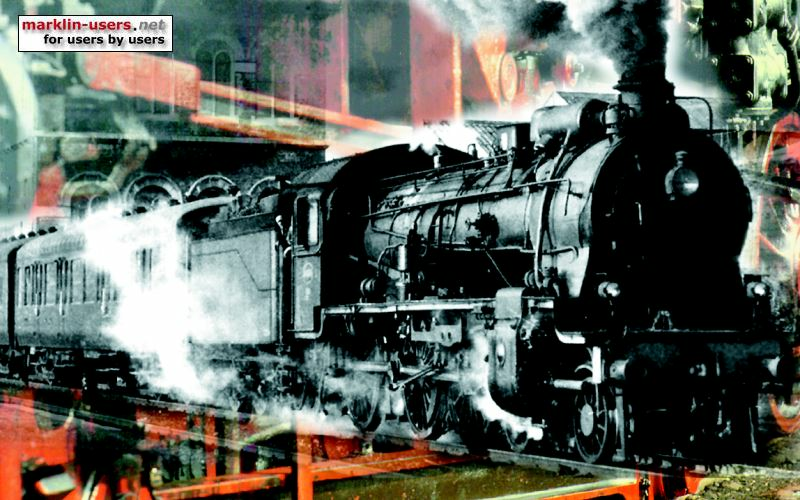 Locomotives “parked” on the programming track can possibly be re-programmed unintentionally as a result."" So I believe having a completely separate track makes a lot of practical sense, and is far simpler than making it an "isolated" extension of a layout track. In the latter case, there is always the danger of running a loco onto that section, with unintended results. Not only the items that Kimball mentioned, but for identifying the address of a Motorola Format loco (not an mfx one) you need to be on the programming track. If you have an fx decoder where you wish to change CV values I believe this will also need to be done on the programming track. In the early days of the cs2 when running a large layout it was also a lot easier to get the mfx decoder to read when on the programming track when introducing a new loco to the cs2. I don't know if this has improved with more recent software updates, but I know of at least one person on this list who had such a problem with a large layout. But what I haven't seen mentioned so far is that a programming track is REQUIRED when programming a DCC loco. Sure there SOME CVs - but not all - that can be programmed on the main, but you cannot read back the CV value for any CV on a DCC loco unless you are on the programming track. I just connect the programming track (one length of C track ..the long one) to the CS3 and have it sitting beside the controller. Why have it on the layout and have to move trains around to the correct part of the layout to use it. Am I mistaken or is that behavior then a fault in the CS3? I would think one of the main points is that the programming signal activity (that is targeted for programming track, not the programming that is program on main activity) SHOULD be restricted to only being emitted on the "programming track" output of the controller. Having the smaller track section creates a more robust communications path between controller and installed decoder, and not having other decoders "on the communications channel" keeps communications clean. And setting the address (for those protocols that need that ) requires isolation of the target decoder. If the CS3 design allows for easy setting of the DCC address commands to blast out of the main connection, that seems to be a very bad user interface or hardware design. That is what I usually do as well David and it works quite well. I do have one line devoted to that this year for several reasons but I don't intend to continue with that in the future. I use that line to test my newly installed decoders and to do the initial configuration run as well as adjusting loco speeds and sounds. As far as I know there was never any intention on Märklin's part to suppress outputs from the main track connection when using the programming track. I just unplug the other track connections when I don't want outputs going to anything but the programming track. I guess I really don't understand what is so difficult about doing that or why it seems to be causing so much confusion. If the main track output did not convey CV changes from the configuration screen you could not do programming on the main, which works well for most operations. Except for mfx registration, CV changes are the only "programming" that occurs. I guess the interface could be configured to suppress main output when doing a discovery operation or a broadcast operation, but those are fairly rare. The isolated programming track exists exactly for the reasons that you list, and pulling the other connections when needed is not really a great burden. The system as currently implemented does work well and keeping it all as simple as possible is the best approach overall IMO. I agree. I do not understand what is causing the concern. I guess if you only have MFX locos, the programming track is not needed for most cases. However, if you have a mixture of loco brands and need to add locos with DCC protocol, then I think the programming track is very useful for registering and adjusting CVs without affecting the rest of the locos on the layout. Since the CS2 has a separate power feed for the programming track the connection to a separate piece of track could not be simpler, unless you do something more complex like I have done to incorporate it into the layout with all the appropriate isolation, which too is pretty straight forward. After all when do you use the programming track - registering a non-MFX loco, changing a loco address or adjusting CVs, and in my opinion that is done relatively infrequently. I have locos with various Märklin digital formats including mfx. But additionally I have ESU decoders using M4 and some things using straight DCC, so I do need a dedicated programming track from time to time. The one partial mfx registration that I saw was when I tried to register a new mfx loco on my main line and now I only do the initial registration on my programming track. So even if you only have mfx decoders I think that you still need a programming track, but something as simple as David uses works quite well. I really like your isolated programming section which can be easily set up with just the flip of a switch and I will definitely consider that when I get around to designing my new layout. But it did affect a loco on the main layout, that's my whole point. But if your programming track is isolated electrically (as it must be to function as intended) and you pull the plugs to the main line on the CS# it can't affect a loco on the main layout! It is physically impossible. Unless the loco is on a section powered by a booster that is still connected. When I say disconnect the booster in the CS# I am implying also disconnecting any external boosters, but I should have been clearer. I have three external boosters and when I want true isolation on my programming track I unplug all of them. It is not the most convenient approach but you don't really need to do that very often. I am heading to my layout right now to pull those plugs and do the initial registration on my new Insider BR 65.0 which just arrived yesterday. How can it possibly affect anything on the main layout if you have a totally isolated programming track and that track is connected to the CS2 programming power output connection? Perhaps the isolation is not complete or there is something crossed between the programming power output and the main power output. I can assure you that with my setup with the CS2, any programming done on the programming track has no affect on anything on the main layout. And you did not unplug the main CS track output nor any possible boosters from the CS either right? That is what I would expect (though I don't have a CS). That setting the address of a DCC or MM device, or reading out configuration values is only signaled on the programming track output. Every other command would possibly be sent to both main and programming, as setting an attribute/cv of a decoder is accompanied by the decoder's address that setting is to apply to and everything not that address should ignore those instructions. Correct. I do not unplug the main track power connection and I do not have any extra boosters. Providing the programming track is connected properly to the controller and the loco is on the track then it can not make any changes to the main layout connection unless there is a fault with the controller. On my CS2, and CS1 Reloaded, you have to make a choice on the screen: programming track or POM. Default is Programming track. No need for extra unplugging or switches if the software and hardware behaves as it should. No recollection of any problems in this respect. I don't have a CS3 so I can't check if that choice is missing or if the default is POM. If the choice is missing I regard it as a serious bug.